This liner is super lightweight and the material feels nice and smooth. 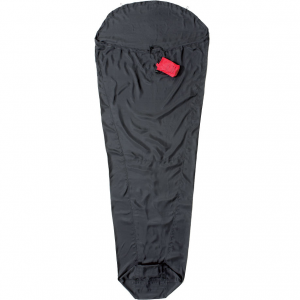 Keeps skin oils and dirt off sleeping bag, but I didn't find it to add much warmth. This liner is super lightweight and the material feels nice and smooth. 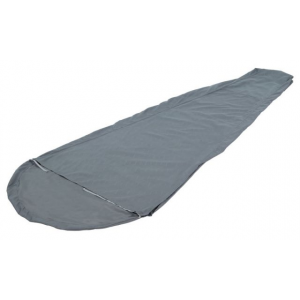 I bought it as a light way to keep skin oils and dirt off my sleeping bags. It has a storage bag sewn to the chest area, which is nice so you can't lose it. It stuffs easily inside this pouch when you want. There is no zipper, which I like for the weight savings, but it isn't as easy to get into as liners with a zipper. That being said, it is still easy enough to slide into the liner as the material is very smooth. 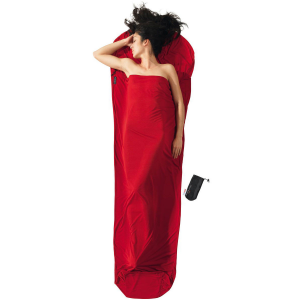 Some people absolutely claim it adds warmth to a sleeping bag, but I did not find this to be significantly effective. Test 1: Was excited about getting this liner so I did a simple test inside my house. Sitting in a 78°F room, I climbed all the way in the liner and sealed it with the cord over my head. The material is pretty see-through so I had no worries about breathing inside it. I was wearing this outfit: polyester gym pants and a long sleeve Icebreaker 260 wool turtleneck. Subsequent tests while camping in 70F temperatures doesn't show this liner adds significant warmth for me. 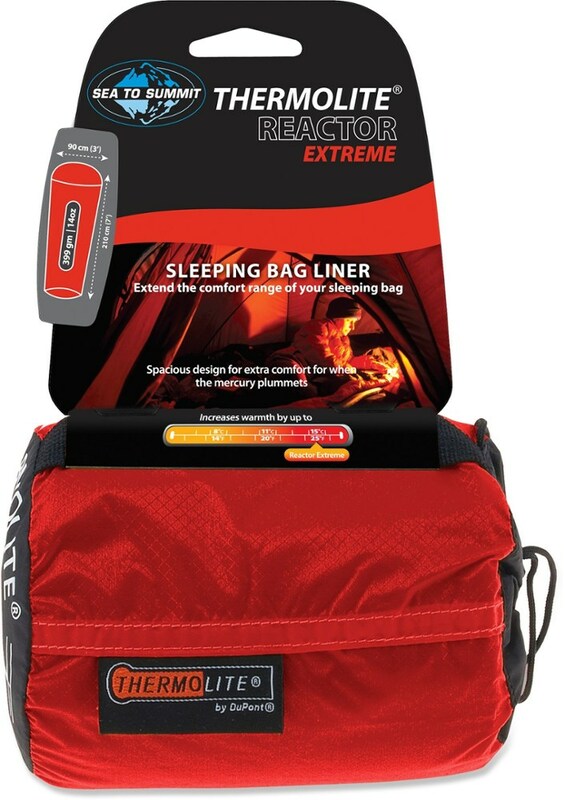 It is great for keeping my sleeping bag interiors clean and weighs the lightest of all my liners. 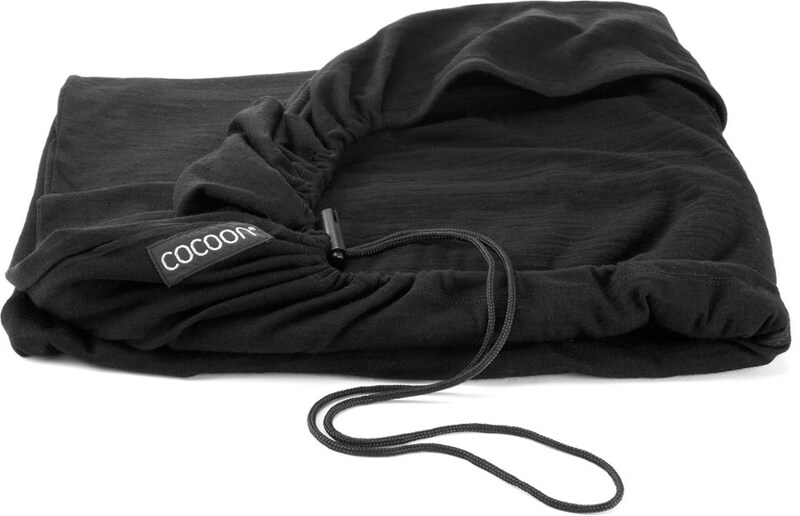 The Cocoon Expedition Liner is not available from the stores we monitor. It was last seen November 2, 2017	at EMS.